A huge amount of Generation Z and the millennial population are active users of digital music and entertainment apps. These audiences can only be appealed through creative branding concepts and smart yet subtle advertising. Location Based Marketing (LBM) is the perfect strategy for upcoming brands like TikTok and Spotify to target their audience and increase their reach. The marrying of digital experiences with the physical world of entertainment and monetizing this phenomenon in exchange of personalization is the key takeaway of these brands. Thus LBM would exponentially expand the market with its innovative potential of technology. Spotify, Swedish award-winning digital music platform that provides access to more than 40 million tracks with more than 207 active monthly users and 96 million paid subscribers. Operating under a ‘freemium’ based model, heavy advertising is necessary to sell premium streaming subscriptions to users. Spotify going local to market itself to people on a much more personal level is a great strategy. For example, partnering up with Starbucks to create playlists of music by people at different locations of Starbucks around the world is a great opportunity to promote their app. Many music festivals are also targeted to enhance traffic and subscriptions. Another instance of location-based marketing would be the advertisement where Spotify mentions the number of people killed in New York while wearing headphones the previous year. The term “Safety” was used in order to popularise the app and increase brand affinity while addressing social concerns through the listener’s perspective. TikTok, an app owned by ByteDance, allows users to lip-sync popular audio clips, songs and dialogues. Many attractive features like personalizing videos though filters and live challenges through hashtags contribute to the achievement of one billion downloads in the stores. A very dynamic marketing strategy is needed to promote TikTok to all kinds of audiences. Location-based marketing proves to be an ally here due to a large number of users in every part of the world. Using local artists and celebrities to promote the brand and selling localized merchandise are creative examples of marketing. Another innovative mass idea was to create contests in various parts of the world through hashtags promoting brands and identities on a local and global level. A user’s whereabouts, routine, lifestyle through location sensitive technology and partnerships of brands combined is the perfect recipe for an immensely effective, personal advertisement that can appeal to millions together. SEO has kept marketers on their toes with the ever-changing algorithms of Google and the innovations in search. A search is an evolving tool and the dynamics of the industry require one to adopt the latest strategies in order to be successful. A lot has been spoken about the search intent but not many are aware of the same. There is intent behind the keywords which are used for SEO and there are two questions that the client needs to answer. One is where should your site rank and the other is what will the rankings help you accomplish? These two questions can help drive the intent and analyze the audience before the keywords and themes are finalized for SEO strategy. There are different types of searcher intent which is basically the “why” behind any given search query. The same can be categorized into four- informational, commercial, navigational and transactional. Informational intent meets the needs of people who are seeking to learn more about the topic or subject. Navigational intent is for people who know about the company but need help to reach their page or website. Commercial intent is for those who seek a mix of informational and transactional. The searcher wants to make a purchase but also needs more information about the brand or product. Lastly, transactional intent is the most commercial intent there can be. It helps searchers who are looking to make a purchase. Understanding searchers’ intent is very crucial for SEO. It will help build a strategy that caters to the consumers and the business. Search engines are becoming sophisticated day after day and it is important to measure how a page will rank on the search engine. Every marketer needs to get answers to the two questions mentioned above so as to build an SEO strategy that will help accomplish results. An SEO strategy created without understanding intent will only cost money and give average returns. Responsive search ads are a dynamic combination of descriptions and headlines which help reach out to target consumers and Google has added new features to the same. RSA is important for every advertiser and the addition of new features show that Google lays prominent importance on the same. Google has rolled out four reporting as well as new feedback tools for responsive search ads. These features will make a strong impact on your ad searches. Details about the new features are listed below. There will be suggested descriptions and headlines which will create new responsive search ads and it will roll out in English at the beginning followed by other languages. 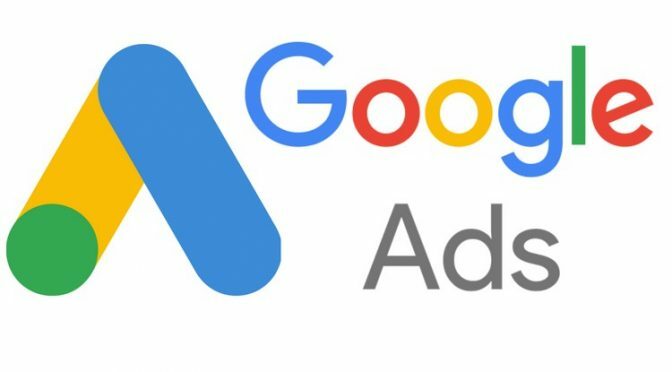 In order to make it easier to create responsive ad searches, Google will also start importing the headlines as well as descriptions from the existing texts ads in an ad group and it will be rolled out in the coming months. You will be able to add beyond the minimal descriptions and headlines in order to increase your score. The ad strength dial will update in real time. You can view the ad strength updates in your Status column under the UI so as to see if the ads are disapproved or whether you are losing impressions. The features show that responsive search ads are here to stay and will continue to make an impact in your marketing plan. Google will continue to make investment in this format and the tools, which shows that advertisers should embrace the same at the earliest. If you move early, you will be able to see the best results by experimenting with different features. Responsive search ads are available in Turkish, Danish, Norwegian, Italian, Portuguese, Dutch, Swedish, Japanese, Polish and Russian. Google Assistant made its debut a few years back and since then most of the interactions with the Assistant include touch and voice. Google has given a makeover to its assistant on phones and it has made it easier to get things done for the users regardless of their preference to use their hands or voice or a combination of both. 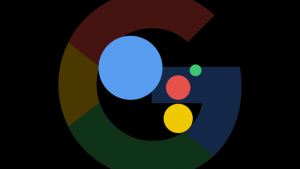 The new Google Assistant design merges the text and talk on the phone while providing the most relevant information when you need it. All you need to do is ask Google Assistant for something and then use the images, buttons and sliders to interact. This will help you find results within a few minutes. Their new phone design includes wider visuals that are easy to glance at, it has new sliders and controls that can easily handle the smart home devices and you can use these sliders to control the volume of the smart speaker or the dials which can help regulate the lights to the right brightness. Additionally, it has an interactive messaging interface which allows you to use your fingers in order to change a word or add a comma and make any other quick edits while you compose messages. Incase of Android phones, it is also easier to access an overview of the day. All you need to do is open the Google Assistant and swipe up in order to get organized data which is based on the time of the day and your interactions with the Assistant. For those who own a Google Home device but have not used the Google Assistant on their phones, you can now use the device and find out how the touch and voice work together. You can ask the assistant to help you look up at your work and you will notice that it is much easier to do it now. 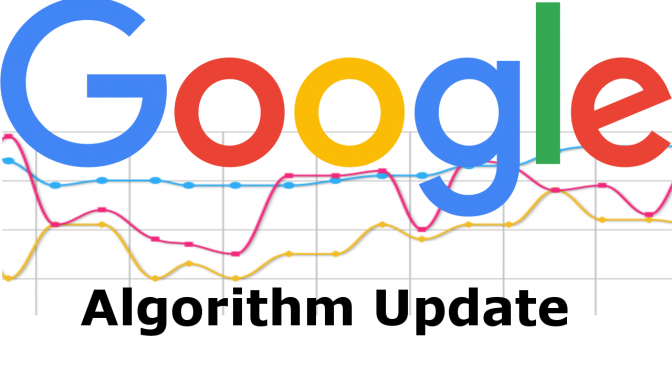 Google’s August 1st core algorithm update: Who was impacted and to what extent? Google updated its search algorithm on 1st of August and here is everything you need to know about it. This broad core update by Google focuses on medical and health sites. But many sites apart from them are also impacted by the update. There is basically nothing you can do to fix your site but you can offer great content and a unique experience to the users. The update is known as Medic Update because it focuses on the health and medical space. Google has stated that this is a broad, core update and it does similar updates many times each year. There is no particular method you can use to fix the pages. Instead, remain focused on building great content for the users. Google stated that some sites could notice drops or gains. The changes introduced into the system are benefitting the pages which were previously under-rewarded. This rollout will impact all Google search results across different regions and languages. This is a global update which means every type of site has been impacted. However, it has been noted that there is a focus on medical and health sites in addition to entertainment and gaming niches. It has also impacted ‘Your Money, Your Life’ sites. These sites are focused on money and life. Now that you know there is a change in the Google’s algorithm, there is nothing you can do to fix it. There is no solution to the same but Google suggests that you improve your website, create better content and make it a unique experience for your users. This could lead to a better ranking of your site on the next update. The online video sharing platform YouTube has always been criticized for not compensating the creators. The platform will now allow the creators to set up their paid channel memberships. 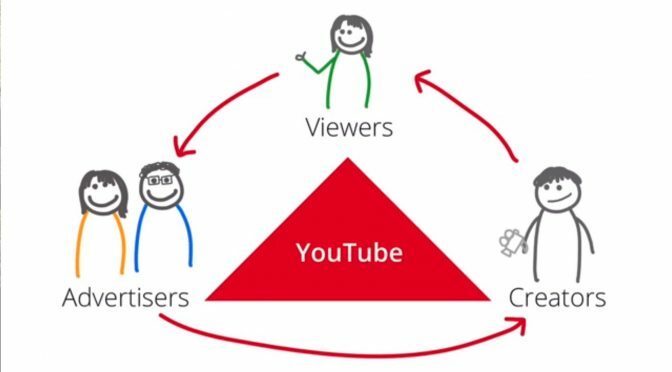 Majority revenue at YouTube comes from advertising which will still remain a focus. But the company is thinking beyond ads now. The creators will be able to make money through different ways and opportunities. The viewers will be paying $4.99 every month for the membership of a channel. It will provide them access to the exclusive content which includes live streams, shoutouts on channels which have more than 100,000 subscribers and extra videos. Creators can sell merchandise like apparel on their channels as well. The merchandise will appear on a shelf below the video with up to 12 products available at a point of time. This will not cost anything to the creator and every sale will help them generate income. With regard to channel memberships, a channel needs a minimum of 10,000 subscribers for it to be eligible. Currently YouTube returns a small part of the revenue generated from advertising to content creators who have constantly accused the platform for not paying them enough. The site has stiff competition from other platforms that use more and more video. With more than 1.9 billion users, YouTube is one of the top online video sharing platforms in the world. This move will give an opportunity to artists and influencers to make money through their video channels. One of its biggest competitors is Instagram that has recently introduced IGTV. The increasing number of users on Instagram could be a threat to the popularity of YouTube. With an opportunity to make money, YouTube has offered a reason to the creators to continue sharing their videos on the portal. A feature on WhatsApp Business will allow businesses to showcase their products in an online catalogue. A screenshot that shows this upcoming catalogue feature was leaked online and first spotted by WABetaInfo. Businesses will be able to enter particular product information in the product page. The details include a title, description, stock keeping unit number, link and the image of the product. However, it will not allow direct transactions for the buyers and sellers on WhatsApp but will enable the business owners to improve the sales options and allow expansion of their consumer base. WhatsApp could earn from each listing and it could help the businesses reach out to the consumers in a unique manner. 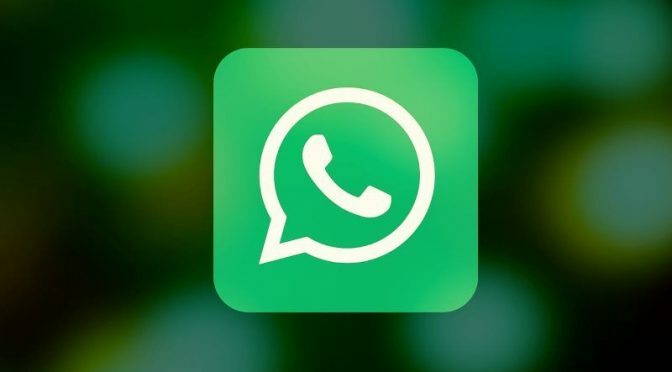 The possibility of this feature could also be expanded to regular WhatsApp which has more than 1.3 billion users across the globe. WhatsApp will soon release a big update for the Business app which might include the catalogue feature. Businesses will be able to show their products to the consumers on the online catalogue and the same will also be visible on the normal WhatsApp application. Launched this January, WhatsApp Business caters to business owners across six countries including India, Mexico, UK, US, Indonesia, and Italy. The app has more than 3 million users across the globe. WhatsApp Business is currently restricted to the Android platform but they are working on an iOS version as well. If the product catalogue feature is added to the application, it will work as a boon to business owners. Most consumers use WhatsApp and would prefer browsing through products on the app. Business owners will also be able to immediately handle any queries from the consumers and it will help boost sales in a cost-efficient manner. One of the most important aspects of website design is building a creative website that can adapt to the size of the visitor’s device. The purpose is to render the content differently based on the screen size or the device used by the visitor in order to ensure an optimal experience. Visitors may choose to access a website through a desktop, a tablet or a smartphone and the purpose of a responsive website design is to provide ease of use without any distortions so that the users do not need to resize everything. More mobile traffic: There is a surge in smartphone users and with a responsive web design, the users will not have to encounter distorted images or resize every page. The design offers versatility across different mediums and has a lower cost of development. Low cost of maintenance: In order to maintain a separate mobile site, there is a need for additional support and testing. Whereas, the maintenance of a responsive design is minimal. It only requires standardized testing to develop an optimal layout for every screen. Faster Web page: Users have a very short attention span and they tend to abandon a webpage if it takes too long to load. If your website is not optimized for a smartphone, it will need more time to navigate and this could mean that the customers might walk away from your website. If you have a responsive web design, you will be able to provide quick performance and fast loading to the users. High conversion rate: Creating a satisfying user experience on all the devices will help in converting new customers. Users want a quick process of purchase, subscription, and checkout. They do not want to be directed to a different page. A website that looks professional across all platforms will lead to a higher conversion rate. 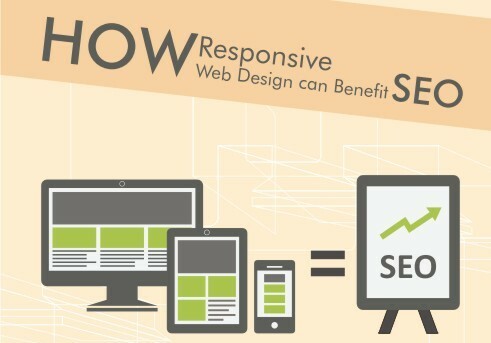 Improved SEO: Responsive web design will help in achieving higher SEO rankings. Stronger backlinks and higher bounce rates usually lead to a higher search ranking and it will also avoid the issue of duplicate content which could hamper your rankings. 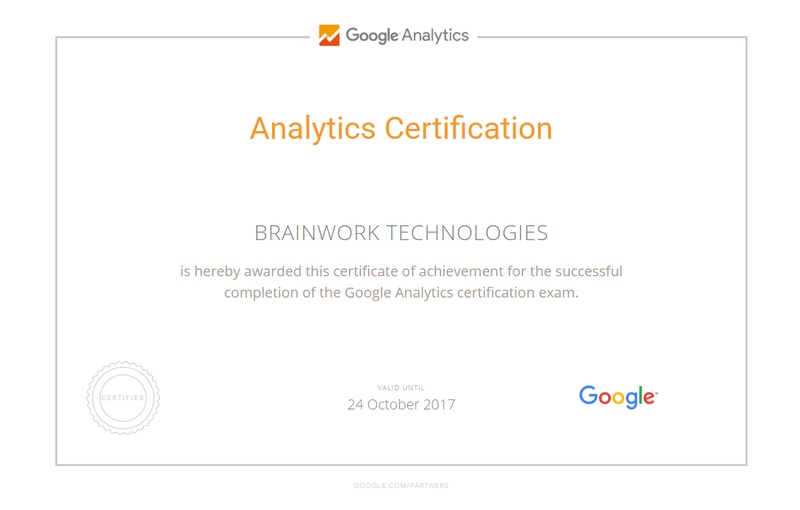 Brainwork India offers expert website development and mobile application development services that will help grow your business and achieve long-term financial milestones. Search engine optimization is getting the users to the websites with an unpaid technique and attracting them to stay on the page. Every organization uses SEO technique to bring in more traffic to their website, engage them and help them find their search result. Every search engine like Google, Yahoo etc show the primary result on the first page itself based on the keywords that has been searched. The search engine shows those websites on the first page that have good rank based on what is important for a user. The best way to generate traffic to any website is by using quality content. It is truly said by the tech experts that content is the king. The content on any website can create and destroy the customers. People are attracted to creative and crispy content which can increase the brand value of any organization. They don’t have time to go to the third page of the search engine and read. They are interested in the content of the first page. There is lot of information on internet which a user have access to, but what is that unique quality in your website which can land any customer to your page is – CONTENT. Content is created to inform and influence people. SEO uses that content in keywords that are most widely searched. Using relevant and popular keywords is the best way to attract customers towards the brand. Using jargons and inserting typos can make the visitor go back and click on other websites. The quality of any website depends on the value of words used. Bringing in new content attracts and persuades more audience. If the website creators or the organization uses old content there are more chances of low ROI. 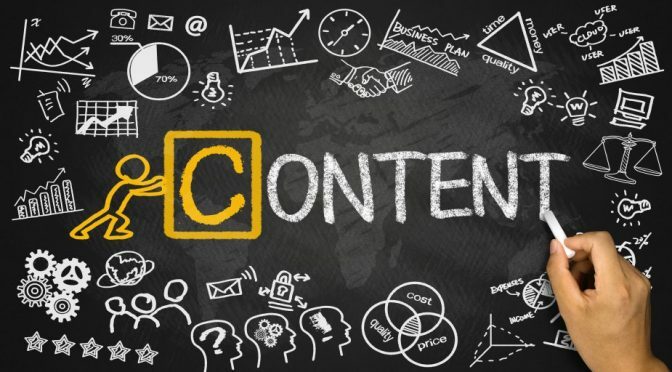 SEO content can be different texts like articles, blogs, videos, images, infographics etc… people are interested in reading more creative and short content. Content with heavy text is avoided by any audience. SEO demands keywords which are used to generate more traffic. Content uses those keywords which helps SEO attain what it wants. Now, we have Adwords which are bid by the brands or the website owners to attain the first position in the search engine. As we know, people are not interested in any content that comes on or after the third page of the search result. Every search engine uses adwords to land customers on their page and boost their sales. We all know very well about the 7 P’s of traditional marketing. Online marketing similarly has its 7 C’s. 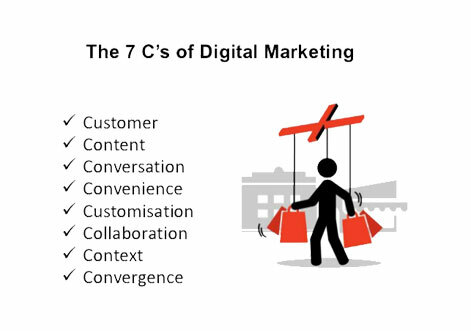 To understand the complexities of internet marketing one has to understand these 7 C’s which are the fundamental aspects. Every successful digital marketing agency follows them. The following seven C’s should guide you to create an effective marketing strategy that will give excellent results. Client-focused – Quality content is about writing what your customers want to read, the benefits they are looking for and the pain points. Contract – This is the promise that your business communicates to the potential customer that is appealing to them. Compelling – the attention span of web visitors is extremely low. You get very little time to catch their attention. Accentuating the words they typed into their search before reaching your website will grab their attention instantly. You must also have content that is punchy. Construction – Your website should have user-friendly features like one-click ordering, a variety of payment options, links to relevant information, simple and attractive layout etc. Digital marketing companies have well-planned designs for it. Credible – Since there is a lot of misinformation on the internet, people are naturally skeptical about what they read. You must strive to present content that is credible with relevant reference and solid evidence that proves it. Political factors: Trade regulations, taxation, legal issues, and labor laws. Economic factors: Gross economic growth, cost of carrying out business and such matters. Social factors: cultural sensibilities, psychographics, religious beliefs, customs, and culture. Technological factors: State of the art techniques and cost-effective strategies. Convergence – The traditional marketing and internet marketing should be integrated to take on the challenges. Your brand must aim to grow globally as they spread deeper in the existing markets. Integrating these seven C’s into your marketing strategy will give excellent results and improve your business to a great extent. Engaging reputed and experienced digital marketing services to update and maintain your website on these lines is the need of the hour.